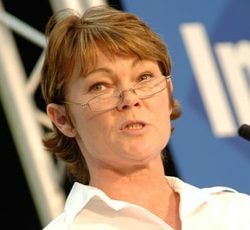 Tracy Edwards MBE made history and inspired a generation of female sailors when she led an all-female crew in the Whitbread Round the World Race in 1989/90. Tracy Edwards MBE has spent her life testing the limits and breaking records. Expelled from school at the age of 15, with no qualifications, Tracy left to travel the world. She began to work on charter yachts in Greece at the age of 17 and learned how to sail. She took part in her first Whitbread Round the World Race as a cook aboard Atlantic Privateer in 1885/86, becoming the first woman to race around the world on a Maxi. Upon completion she decided to enter the first all-female crew in the 1989/90 Whitbread, against considerable resistance; and when Maiden crossed the start line on 2nd September 1989 she sailed into the history books. Maiden went on to win two of the six legs and came second in her class overall, the best result for a British boat since 1977 and unbeaten until this day. For her services to sailing, Tracy was awarded an MBE, and she also became the first woman to be awarded the Yachtsman of the Year Trophy. Nearly a decade later, in 1998, Tracy put together the first all-female crew to race a Multihull, this time in an attempt to be the first all-female crew to sail around the world non-stop and win the Jules Verne Trophy for the fastest non-stop circumnavigation of the world by sail. Sponsored by Royal & SunAlliance, the women had broken five world records and were will on the way to beating the Jules Verne when their 92ft catamaran was dismasted 2000 miles off the coast of Chile. In 2002, Tracy created the first ever truly mixed-gender team and broke four major world records in Maiden II. In October 2003 she signed a £6 million sponsorship deal with the Gulf State of Qatar as part of a four year sailing programme. The Oryx Quest 2005 was the first round the world race to start and finish in the Middle East and the world’s four largest and fastest multihulls raced against each other for the first time in history. Though the event was successful, the sponsorship dissolved and the event ended with non-payment by Qatar. Tracy left sailing and in 2007 and 2008 she worked for Child Exploitation and Online Protection (CEOP) as a Project Manager for their International Youth Advisory Conference. Working with the UN, she assisted in the creation of the 2009 Resolution to the United Nations Conventions on the Rights of the Child (UNCRC). After finishing her contract, she enrolled at Roehampton University for a degree in Psychology. 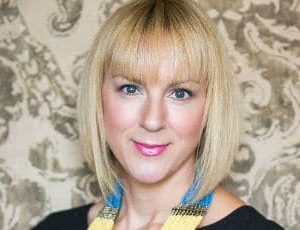 In 2013, Tracy founded Safer World Training Ltd, researching the impact of Online Reputation, Sexting and Cyber Bullying upon young people; this research is now being utilised in the development of an app which will be launched in September 2016. Having discovered Maiden in disrepair in the Indian Ocean, Tracy created the Maiden Rescue charity in 2014, hoping to rescue Maiden and bring her home to the UK. Maiden is an iconic piece of British Maritime History and once she has been refitted, she will become Maiden Ambassador for Girls’ Rights working with UN Women, The Girl Effect and Girls Network. She will promote and fundraise for girls’ rights to education in the UK and developing countries. In addition to her sailing adventures, Tracy is a popular motivational speaker who covers a range of subjects.